Celebrate the iconic and heart-pounding music of Queen and Freddie Mercury with the highest-grossing biopic of all-time when Bohemian Rhapsody comes to Digital and Movies Anywhere January 22 and 4K Ultra HD, Blu-ray™ and DVD February 12. 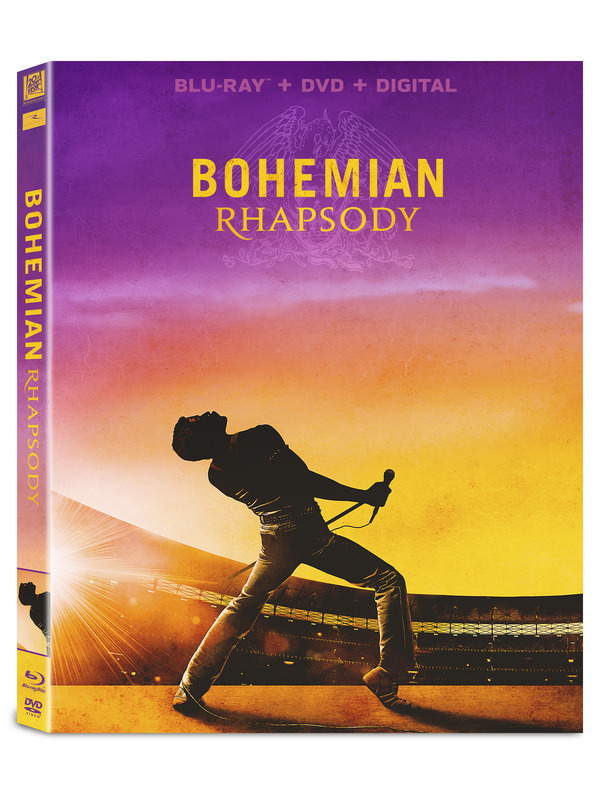 Fans can experience the story behind the band and the making of “Bohemian Rhapsody,” the #1 streamed song of the 20th century and other favorites like “We Will Rock You,” “Somebody to Love,” “We are the Champions” and more, for a musical adventure that will make you laugh, sing, dance, and cry. Nominated for two Golden Globe® Awards including Best Motion Picture- Drama and Best Actor in a Motion Picture - Drama (Rami Malek), and two SAG Awards for Outstanding Performance by a Cast Motion Picture and Outstanding Performance by a Male Actor in a Leading Role (Malek), Bohemian Rhapsody has captured the hearts of fans globally. Bohemian Rhapsody is an enthralling celebration of Queen, their music, and their extraordinary lead singer Freddie Mercury (Malek), who defied stereotypes and convention to become one of history’s most beloved entertainers. Following Queen’s meteoric rise, their revolutionary sound and Freddie’s solo career, the film also chronicles the band’s reunion and one of the greatest performances in rock history. For the first time, fans can experience a true one-of-a-kind music movie event with the complete “Live Aid” Movie Performance featuring two never-before-seen songs (“Crazy Little Thing Called Love” and “We Will Rock You”) packed into a 22-minute collective experience recreating the original event. In addition, on Blu-ray & Digital, fans will get a look behind the making of the film including interviews with Queen, the cast and creative team.